*Don’t forget to add your second product into your cart for your discount. 3 tubes 225g and 2 packs of 10 sachets 15g each is a perfect combination for the 21-Day Treatment Programme for IBS diarrhoea. It is convenient to use tubes at home and sachets on the go. 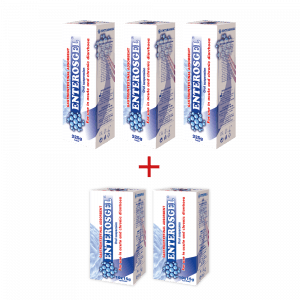 4 packs of Enterosgel 225g is enough for 20 days IBS treatment, taking 1 tablespoon 3 times a day. 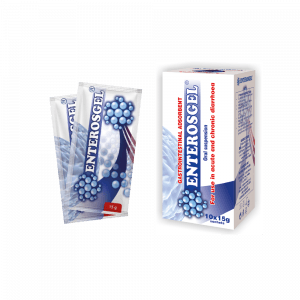 EnteroZOO® is a dietary supplement designed to maintain your pet’s intestinal health. It is composed of organic mineral and purified water, which can be used as an intestinal adsorbent. It can bind bacterial toxins and thereby help to maintain a healthy gut and intestinal balance.